Web apps and materials for learning about optimization (high-school level) These materials were created by Marc Brousseau, a teacher at Middleton high school in Madison, WI, working with graduate student Ben Afflerbach in the Morgan group. This work was done as part of a Research Experience for Teachers (RET) program (https://mrsec.wisc.edu/ret/) at UW Madison run by the Materials Research Science and Engineering Center (MRSEC), funded under grant number DMR-1720415. 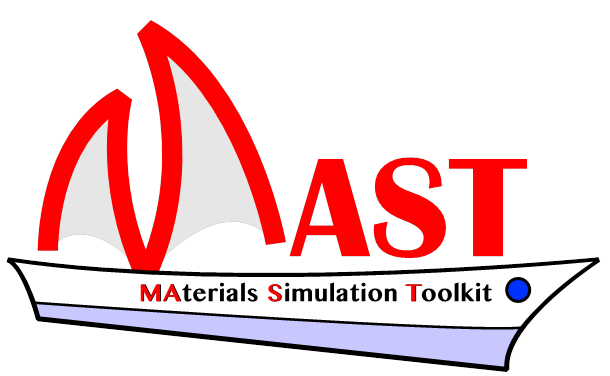 MAterials Simulation Toolkit – Machine Learning (MAST-ML) is an automated tool for setting up, executing, and managing output machine learning tasks in materials science. Modules and course plans for introductions to machine learning for materials scientists. Databases: Material’s property data sets and descriptors for easy exploration of machine learning. The StructOpt app provides a general genetic algorithm based optimizer in python targeted at identifying stable atomic structures. MAST is an automated workflow manager and post-processing tool that focuses on diffusion and defect workflows using density functional theory. It interfaces primarily with the Vienna Ab-initio Simulation Package (VASP). 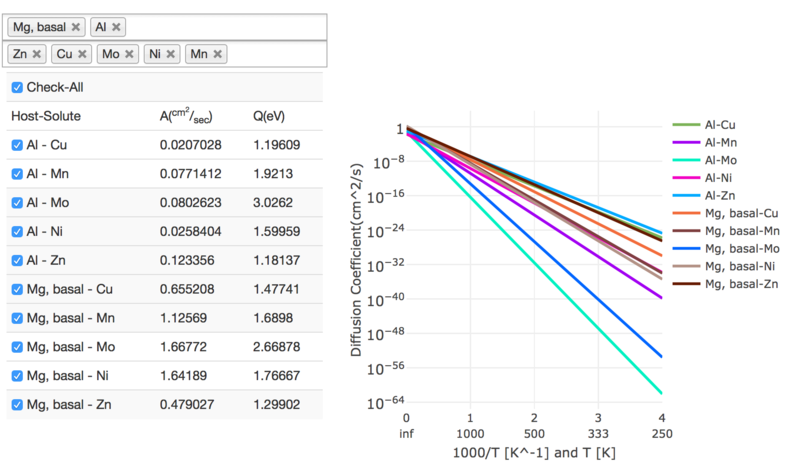 Diffusion Data App is a database of over 250 (and growing) impurity diffusion coefficients calculated with ab initio density functional theory. 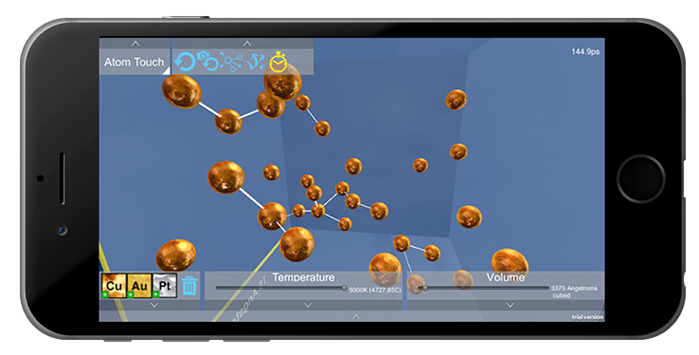 Includes hosts Mg, Al, Cu, Ni, Pd, Pt, and W.
AtomTouch is a 3D interactive mobile platform (e.g., phone, tablet) molecular simulation software tool for educational purposes. UW links: Project page, Online App, Source code on Github.